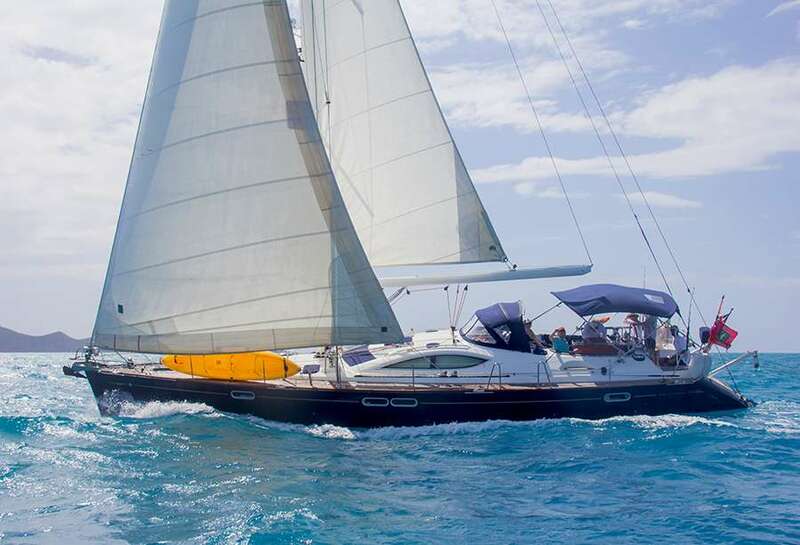 Sayang is a Jeanneau Sun Odyssey 54DS sailing yacht. 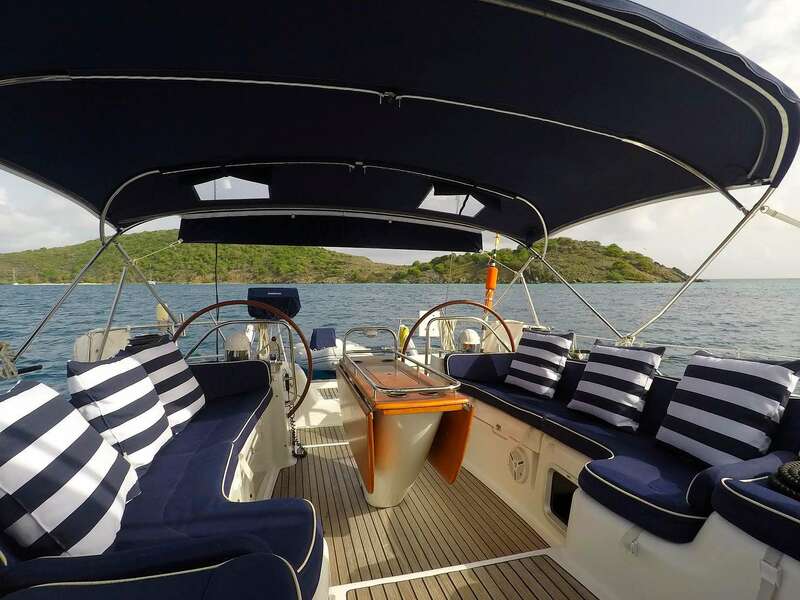 Built in 2005, she is air conditioned throughout and maintained in an immaculate condition for your maximum comfort and safety. 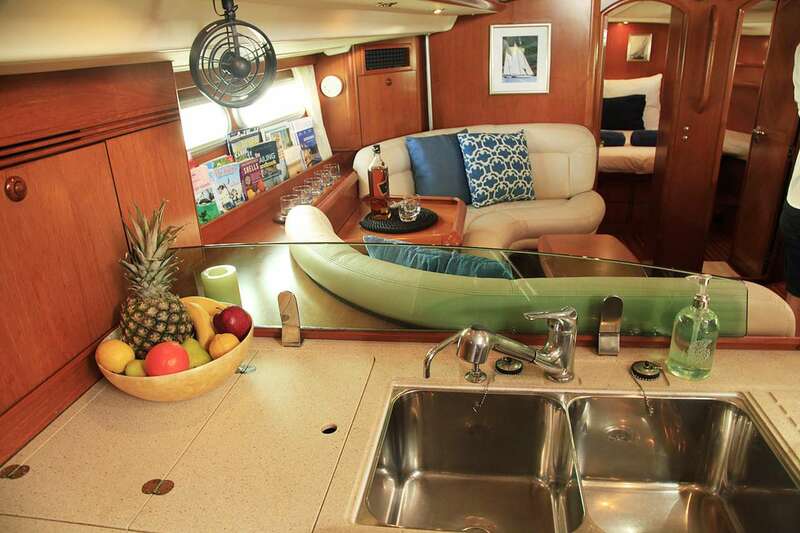 Sayang is operated by a skipper and a firstmate/hostess. The crew is multilingual (English, French, German and Italian), has professioal backgrounds ranging from marketing management to teaching music and has an ear for almost everything. 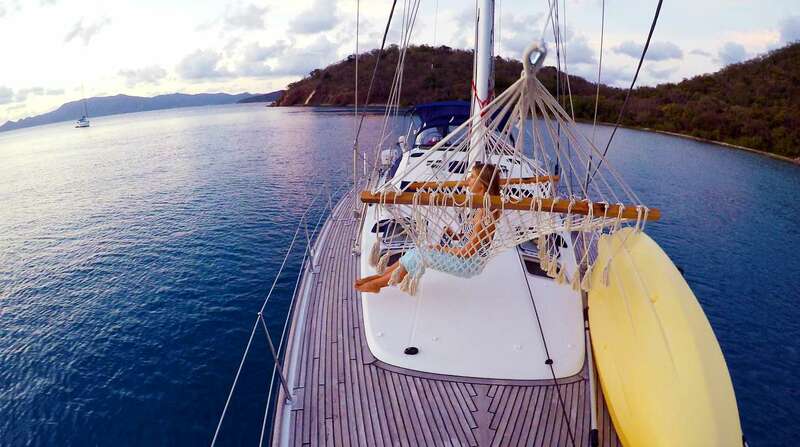 Whether it be sailing round the islands, laying back on your luxurious yacht soaking up the sun, snorkelling, diving or fine dining on board or in local restaurants, Sayang's crew will tailor an itinerary according to your wishes. Saloon lounging area with some snacks! 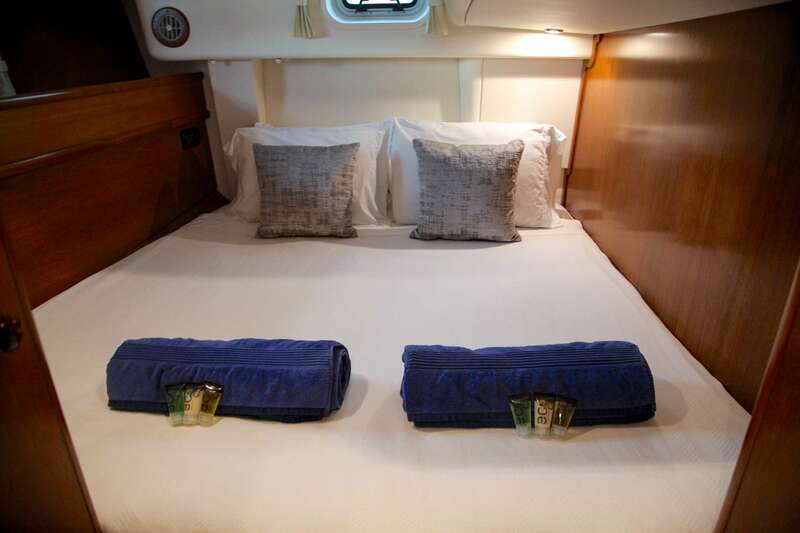 Foward port and stbd cabins with ensuite heads, showers and hair dryers in each guest cabin. 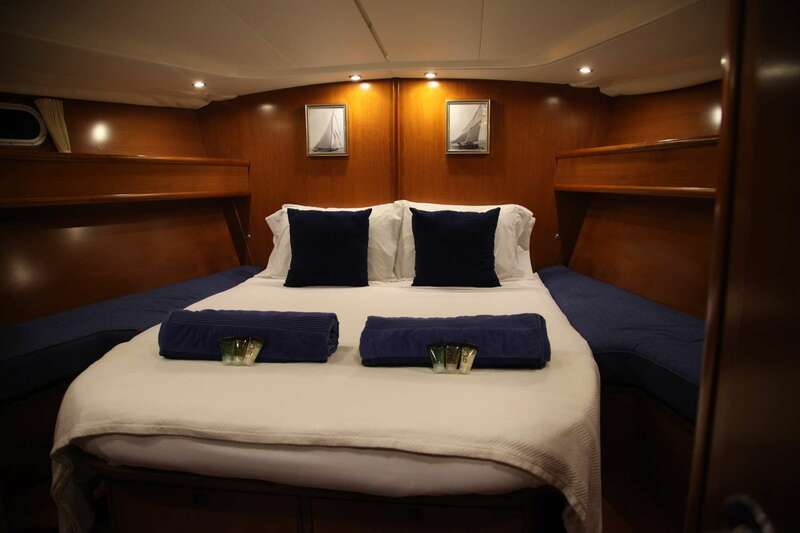 Forward 2 cabins can be merged into a master king stateroom. 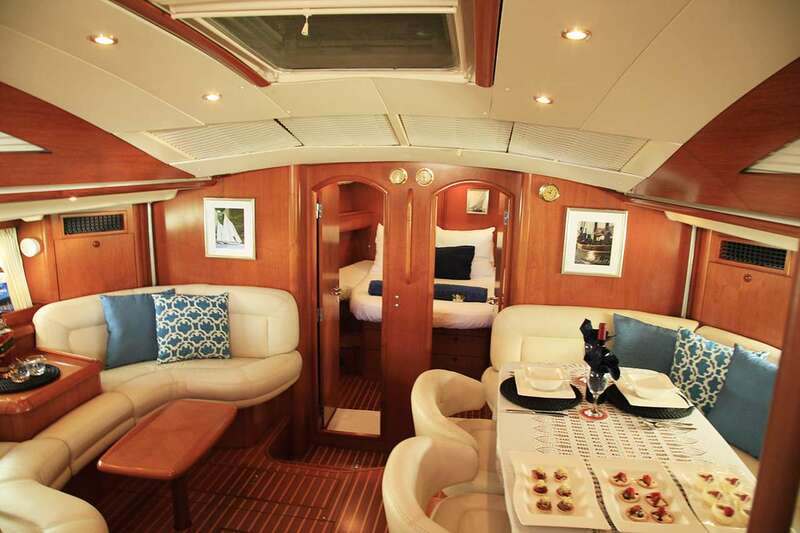 **If we offer the forward cabin as a master suite, the island bed is 2m (6.56 feet)long by 1.8m (5.9 feet) wide. 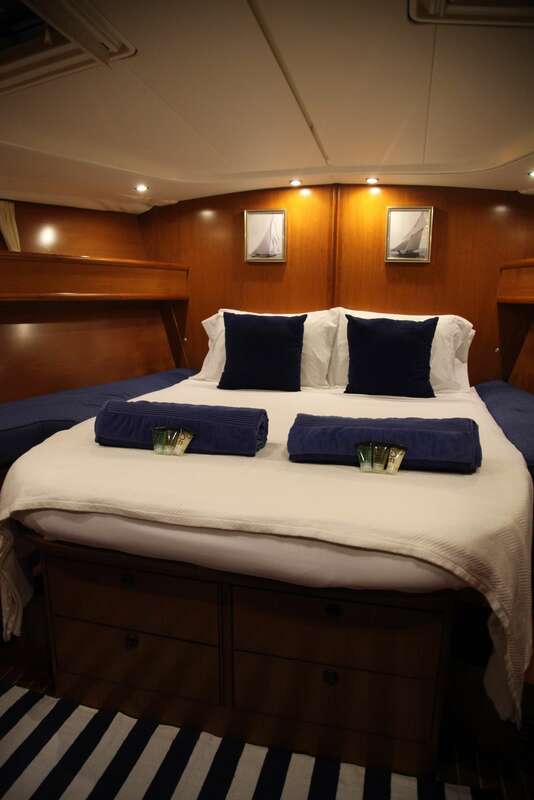 It is also possible to have the bed wall to wall, in which case the bed is 2m (6.56 feet) long by 2.1m (6.89 feet) wide.